Magisto, the Video Storytelling platform that makes it easy to create and share personal movies from a mobile device, recently joined country superstar Brad Paisley in a special challenge. Brad asked his fans to create a movie via the Magisto application using his Wheelhouse album track, “I Can’t Change the World,” as the soundtrack to their stories about people who have changed their lives. This challenge inspired one woman to make a music video that shares her family’s story of growth and love. After adopting their first child, Sarah Anders and her husband soon found room in their hearts and home for that child’s biological sibling and the ten more adopted children who would follow. “We have been given the privilege of raising this group of children. They are individually amazing and even more so as a whole. 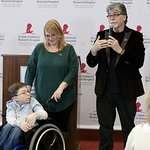 We feel the world should be jealous that we get to lay claim to so much greatness,” wrote Sarah upon learning she was the grand prize winner in the “I Can’t Change the World” challenge. Magisto’s user-friendly mobile video app facilitates personal storytelling, using sophisticated emotion-sensing technology to weave together personal videos and photos into a cohesive narrative in less than ten minutes. 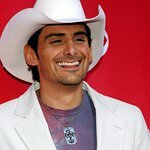 By allowing their music to become part of a fan’s storytelling experience, artists like Arista Nashville’s Brad Paisley not only gain a uniquely intimate way to engage with fans but also a new means of distribution with massive scale as personal video stories are shared within Magisto’s Video Network and across various social media outlets. Over 100,000 Magisto videos have been made to date using Paisley’s song and have generated 500,000 views in the first month. “We were so pleased to partner with an artist of Brad Paisley’s caliber on this project,” said Reid Genauer, CMO for Magisto. "Magisto provides a deeply personal way for artists and fans to come together in a communal creative process. The video stories created and shared in the “I Can’t Change the World” video album represent an exciting, new opportunity for fan expression and artist engagement"
Magisto recently announced enhanced capabilities that make creating personal video narratives even easier. The platform facilitates sharing across the social graph and the new “open album” feature lets users share personal videos created around specific passion points. The “open album” for Brad Paisley currently features all music videos submitted for the I Can’t Change the World challenge.